Start your engines! Because the all-new Lightning McQueen’s Racing Academy is now open at Disney’s Hollywood Studios! The new experience is located in Sunset Showcase, near Rock N’ Roller Coaster at the end of Sunset Boulevard. 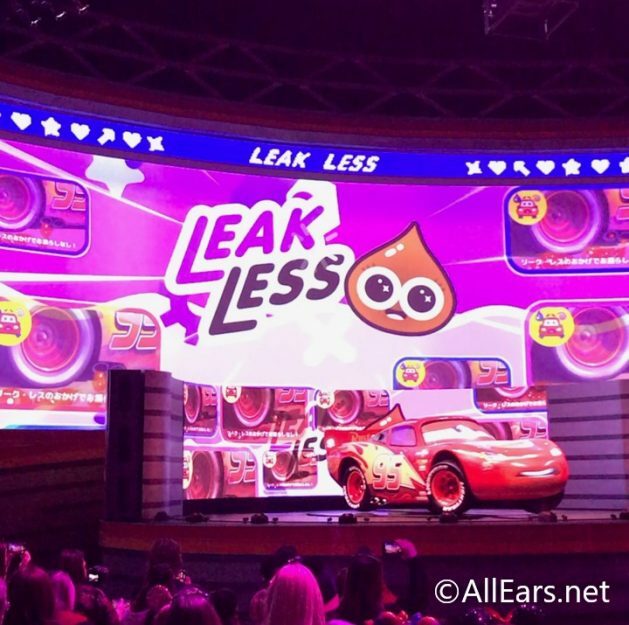 We checked out the new show experience this week and here are five things we LOVED about it! 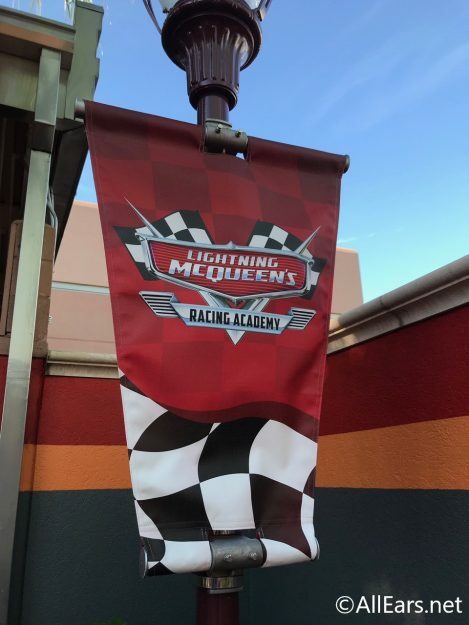 You can’t have the Lightning McQueen Racing Academy without Lightning McQueen! The new animatronic is absolutely incredible. He talks, blinks, bounces on his tires, spins — it’s like he popped straight out of one of his Pixar films! Honestly, this state-of-the-art car is worth checking out the experience for in of itself. I don’t want to give away the show, but so many of your favorites make an appearance! From Mack (voiced by the incomparable John Ratzenburger), to Tow Mater, as well as Luigi, Fillmore, Sally and more, the gang’s all here. Fans of the Cars movies will really enjoy the cameos! 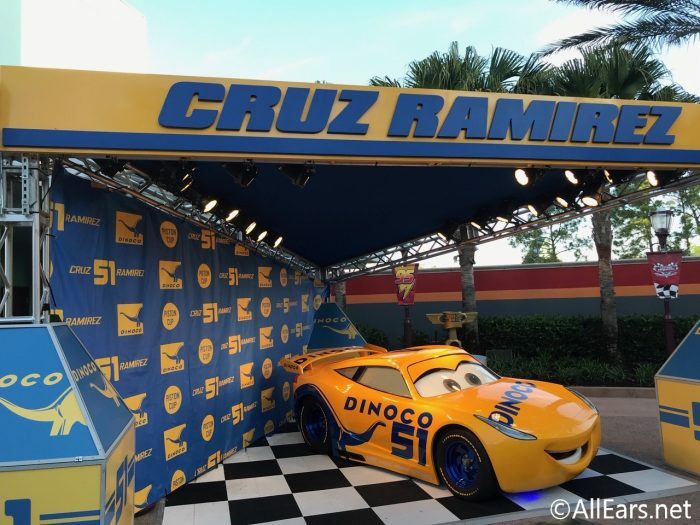 Outside of the theater you can meet Cruz Ramirez, one of the stars of Cars 3. 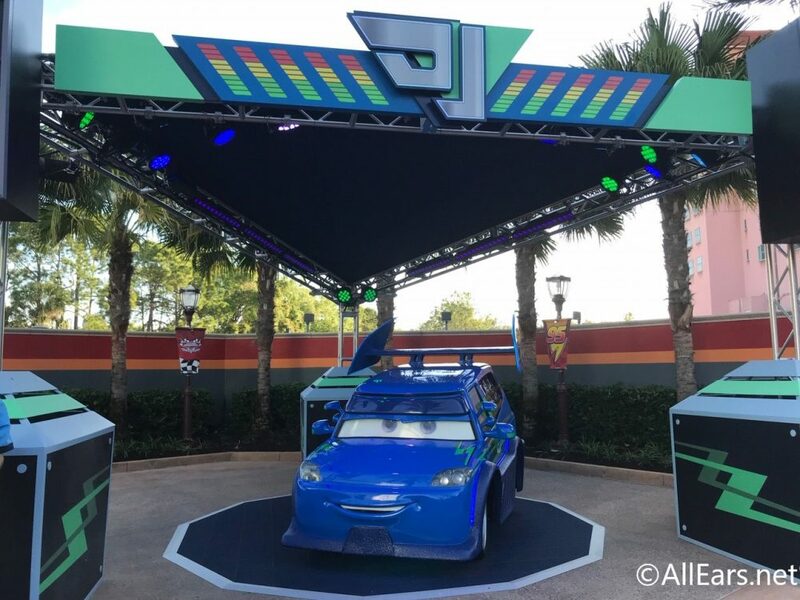 Disney’s PhotoPass will be on hand to snap your photo! 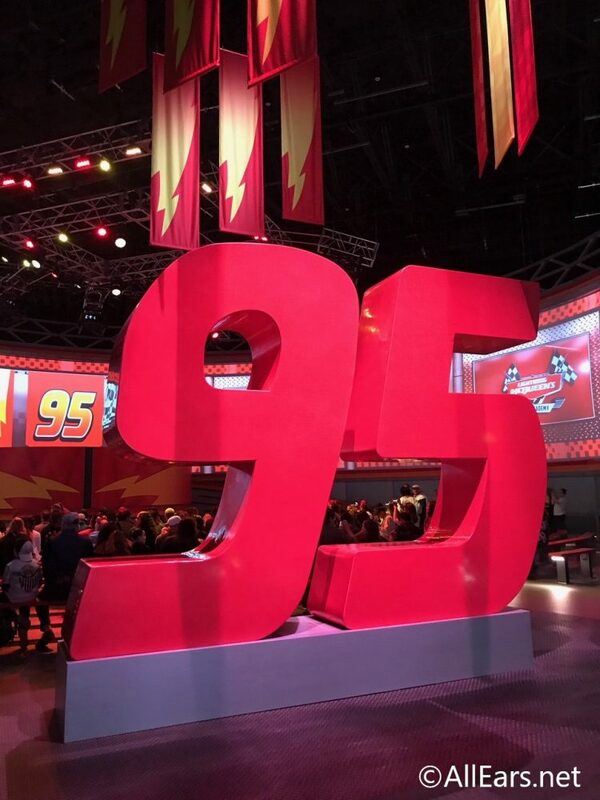 There is also a GIANT 95 (Lightning’s number) inside the theater that you may be able to snap a quick picture with! We also spotted this super cute wall in the courtyard which will make for another great picture. Gotta love those Instagram walls! DJ from Cars is spinning some tunes for the little ones (and big ones!) to jam out to! 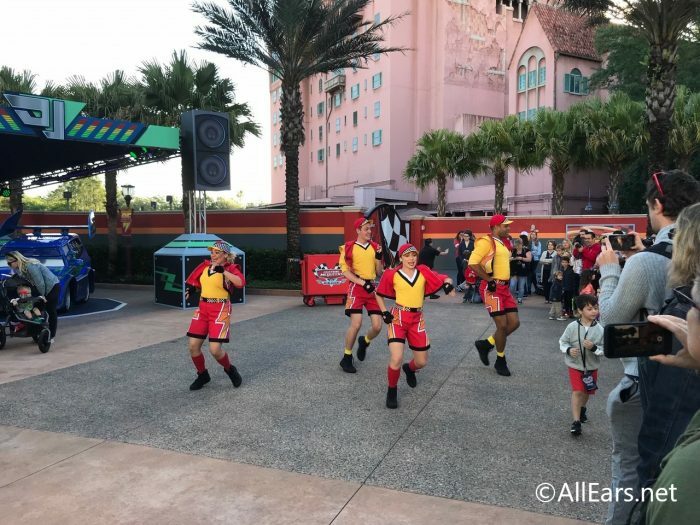 The Pit Crew Dancers are also performing fun numbers, as well as orchestrating games and activities that your kids will love. 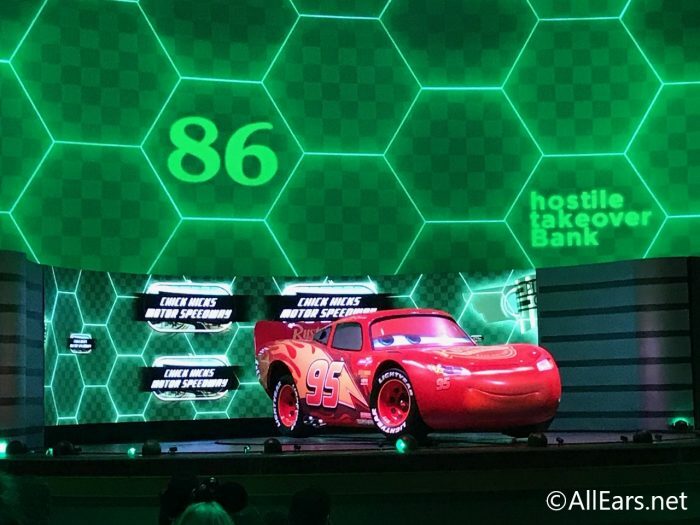 Just like with the Cars movies (and Pixar films in general) the show is actually very funny. And there are quite a few jokes that adults will especially enjoy. It’s always a win in my book when the kids get to see a few of their favorite characters, and the adults are entertained on their level as well! Overall, Lightning McQueen’s Racing Academy is a cute addition to Hollywood Studios. We think most little ones will really enjoy it, and at the very least, Mom and Dad will enjoy sitting down in the air conditioning. While this may not be an E-ticket attraction, it’s certainly worth checking out on your next visit to Hollywood! 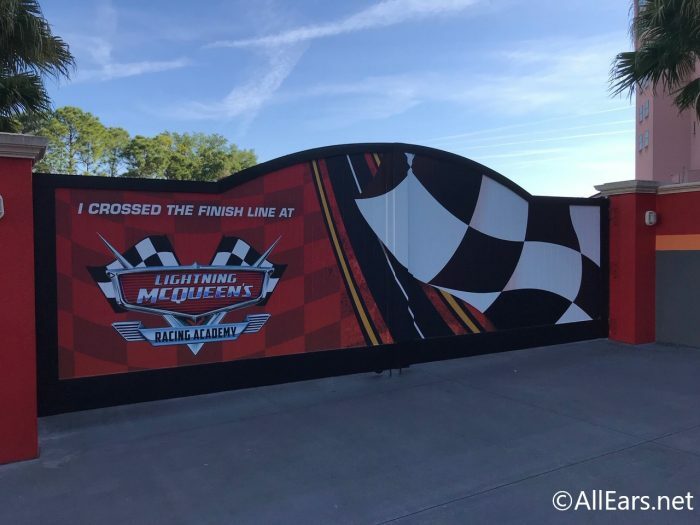 AllEars.Net was an invited media guest of Disney at this preview of Lightning McQueen Racing Academy. This did not affect our opinion; our opinion is our own. Next PostNext Celebrate These Dubious Holidays with these Eats and Drinks at Disney Springs! As usual, no comments about Lighting McQueen. 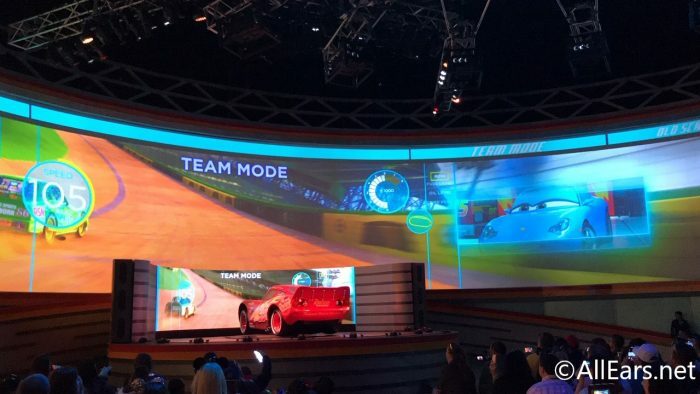 Based on the lack of comments after every Lightning McQueen article, could one assume that this attraction, or Lightening McQuen in general, is a bit of a yawner?